Looking for a way to extend your swimming season? Tired of the cost and upkeep of a traditional in ground or above ground pool? Do you just want to relax and enjoy a therapeutic massage? 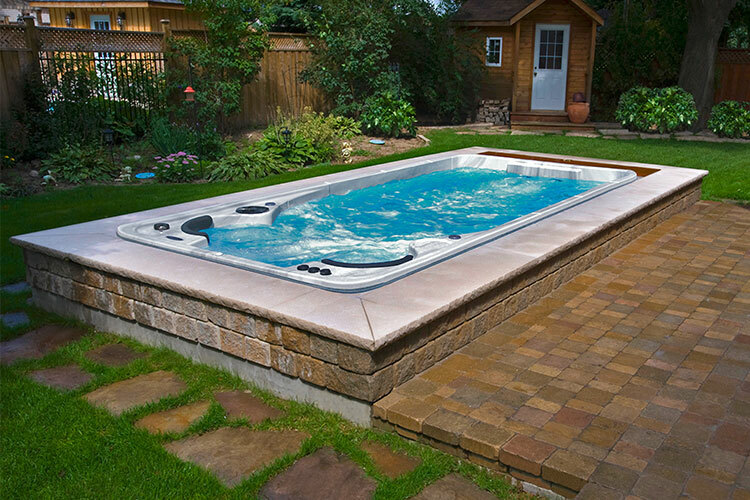 Look no further than these amazing, Canadian made all season pools! Do you need help building your deck, patio or cement slab. Don’t worry, we’ve got you covered! AquaSport Swim Spas are the perfect all weather pool for recreational swimmers, or those simply looking to relax and enjoy the water. 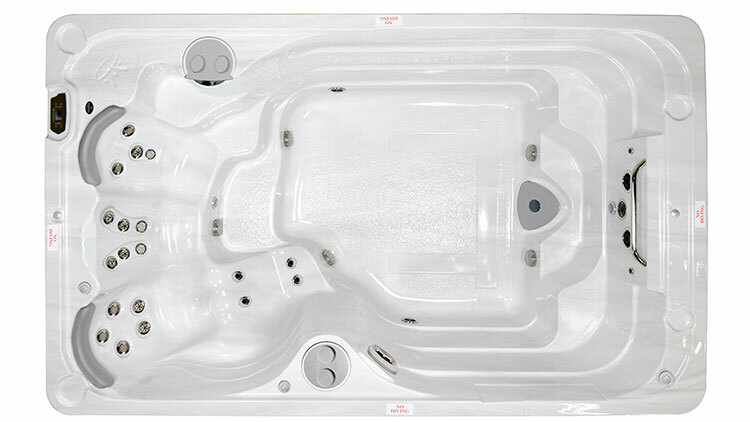 A 12ft swim spa featuring 3 jetted therapy seats. Small enough to fit in any backyard, without sacrificing any essential features. A 14ft pool with 2 jetted therapy seats. 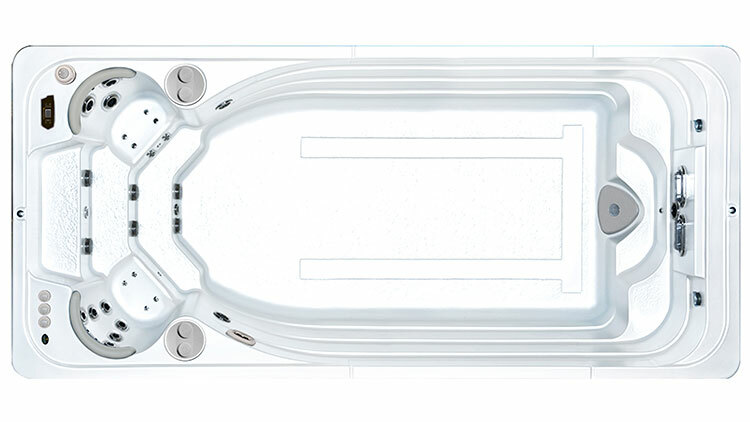 The 14fX features one of the largest swim areas of any 14 foot swim spa in the industry. 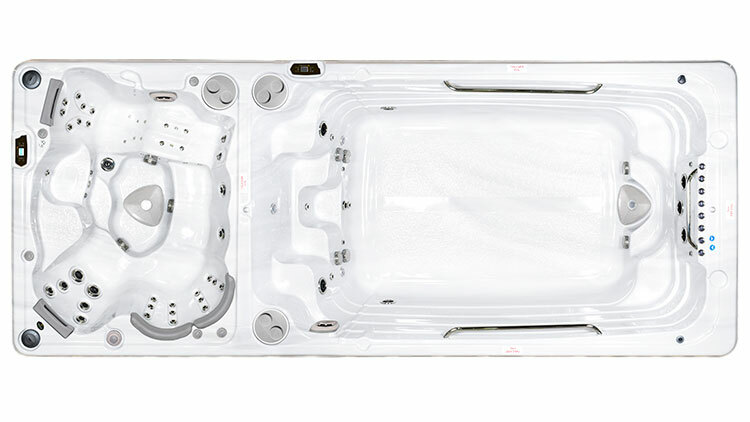 A 16ft swim spa featuring 3 jetted therapy seats. With an array of different massage seats available, this is the perfect swim spa for those looking to unwind after a long day. The latest evolution in swim spa design. 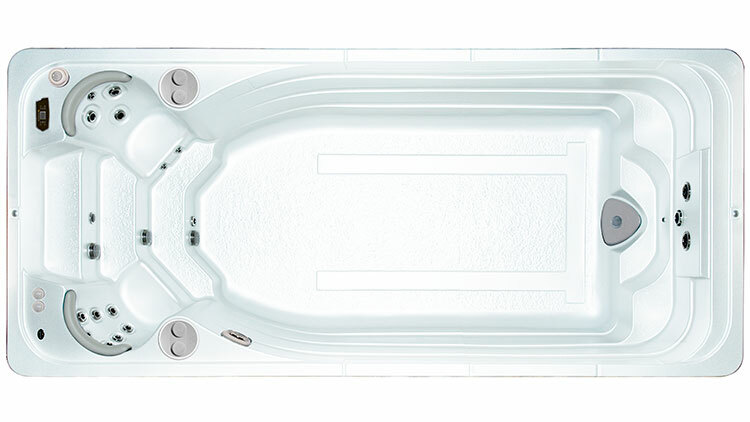 A 16ft swim spa featuring 2 full body therapy seats. Perfect for those looking for an incredible aqua fitness pool but don't have a ton of available space. A 17ft pool with 2 jetted therapy seats. 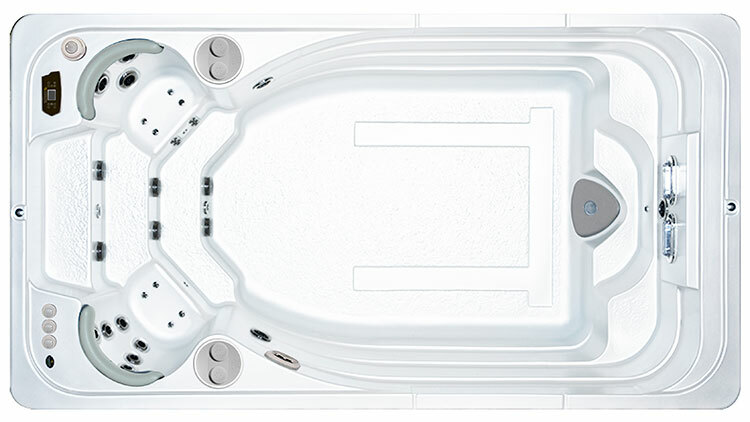 The 17fX features the largest swim area that Hydropool makes; making this the perfect all season pool for families. 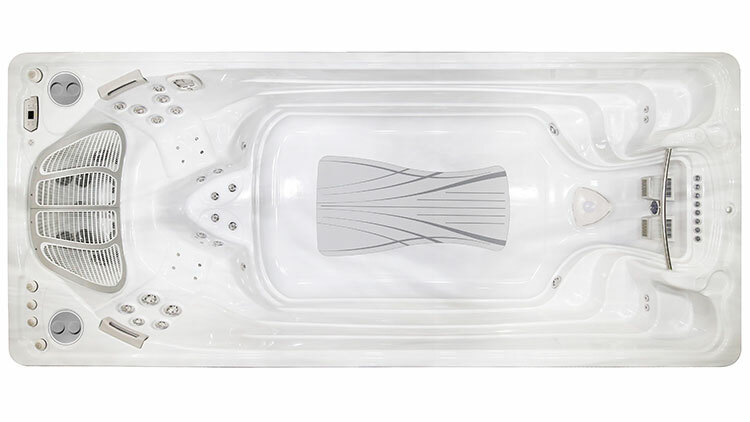 A 19ft swim spa featuring 2 full body therapy seats. 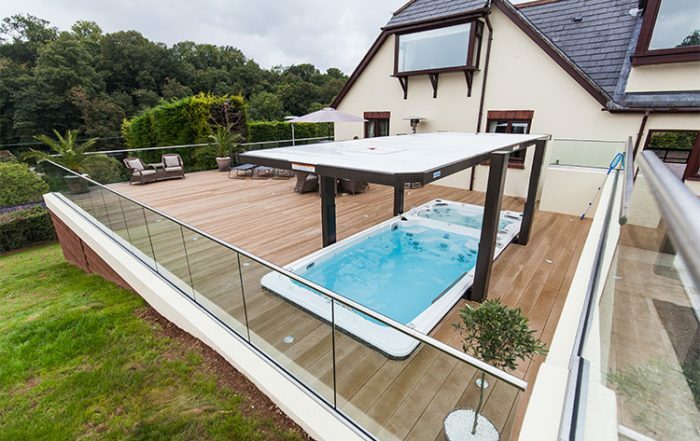 Perfect for larger families and those looking for a large space for aqua fitness. 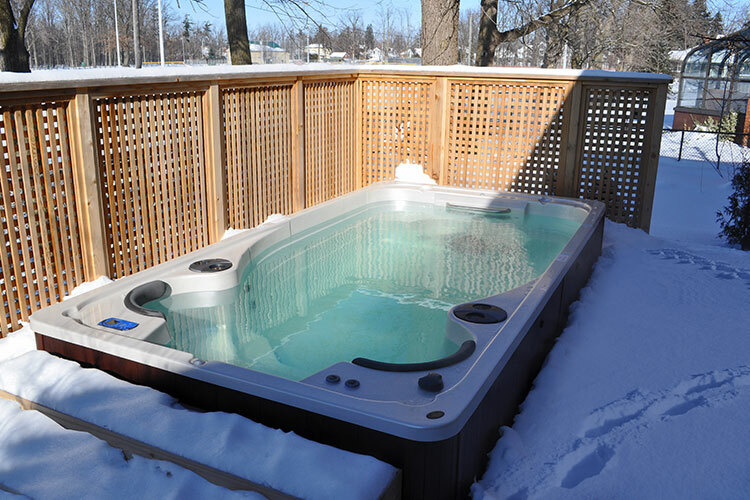 A 19ft swim spa featuring a 14ft swim tank and a 5 seat hot tub. Looking for the best of both worlds? 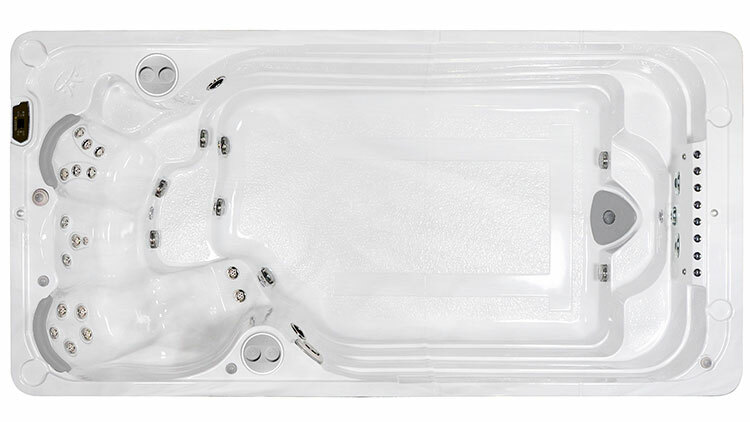 This dual temperature swim spa lets you set one temperature for your hot tub and another for your pool! AquaTrainers are the perfect pools for the serious swimmer. Their 2 AquaBoost pumps are able to produce a current of up to 720 gallons per minute, which is equal to around 17.5 km/h! A 14ft all season pool with 2 jetted therapy seats. 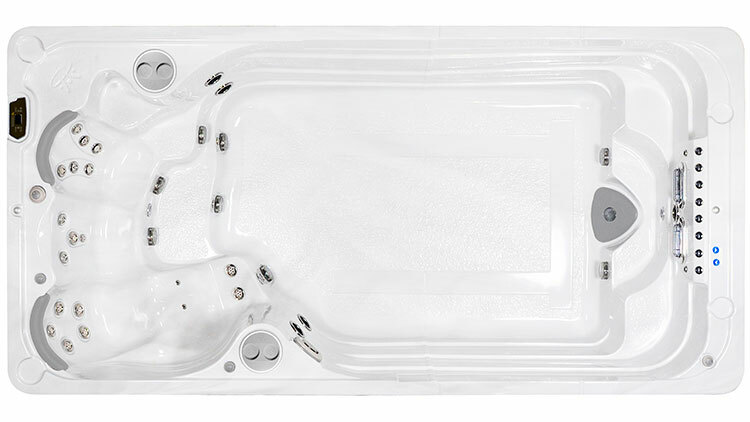 The 14fX features one of the largest swim areas of any compact swim spa in the industry. 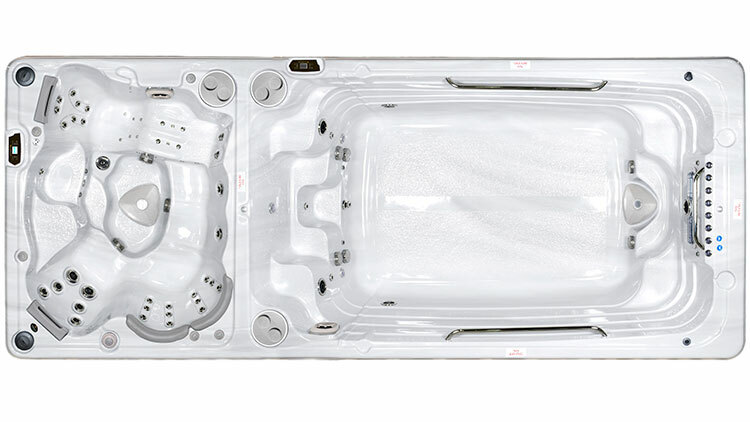 A 16ft swim spa featuring 3 jetted therapy seats. With an array of different massage seats available, and an industry leading swim system, this is the perfect swim spa for those that want a little bit of everything. The latest evolution in swim spa design. 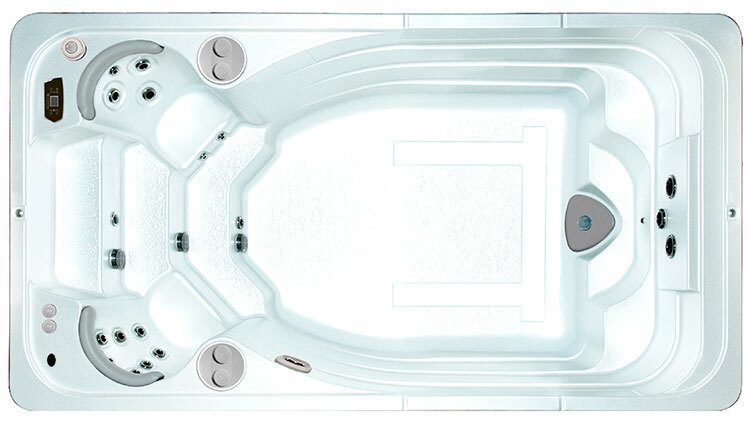 A 16ft swim spa featuring 2 full body therapy seats. Perfect for those looking for an incredible swim experience but don't have a ton of available space. A 17ft pool with 2 jetted therapy seats. The 17fX features the largest swim area that Hydropool makes; making this the perfect all season pool for active families. The ultimate aqua fitness experience. 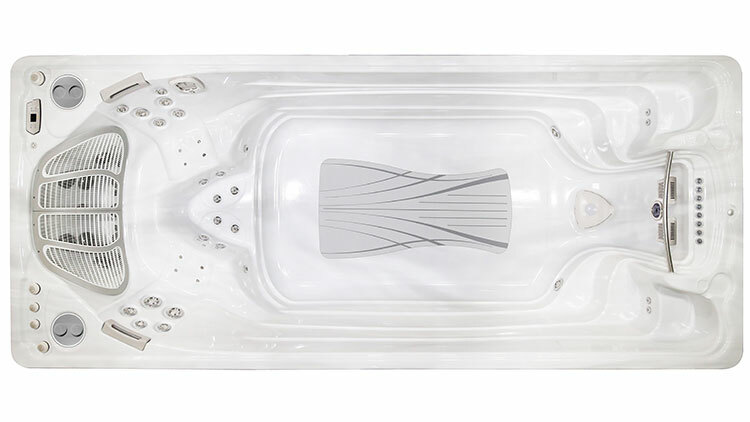 A 19ft swim spa featuring 2 full body therapy seats. Perfect for those looking for the best possible swimming experience.